Bonsai is a rewarding art form and every year more people from all around the world are falling in love with it. However, many find it hard to start… or even figure out if bonsai is for them. Before the internet, getting your hands on bonsai resources was a problem. Now the problem is sorting through the thousands of resources to figure out which ones are great and which ones are not so great. We’ve scoured the internet and beyond to find the best resources for beginners wanting to dip their toes into the world of bonsai. 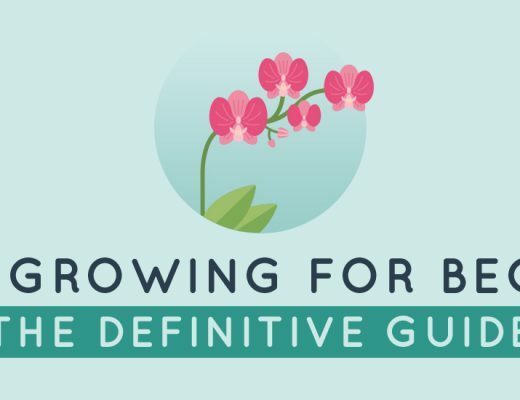 This guide won’t turn you into a bonsai master, but it will help you figure out if bonsai is for you and what your first few steps should be. Bonsai can be hugely enjoyable, but it’s not for everyone. 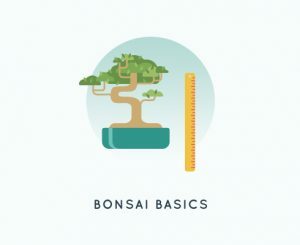 In this first chapter we’ll take a bird’s eye view of bonsai and help you figure out if it’s something you want to pursue or whether you’re better off just enjoying bonsai from afar. Bonsai has quite a long history going back a thousand years or so. While some argue that it was brought over from China, what we consider to be modern bonsai is something that developed in Japan over the last few hundred years. Bonsai comes from Japanese where it is made up of two characters (tray & planting). It is a living art form that involves taking ordinary trees and growing them in pots to restrict their growth. The aim of a bonsai artist is to create artificially perfect trees resembling those in nature. This is at odds to the European art of topiary, where the aim is to use trees to create something that resembles anything but a tree. It is often referred to as a hobby, but most people who are involved with bonsai see it as an art form. It is most popular in Japan and because of the history of the art form there, many trees are generational. Unlike a painting or sculpture, a bonsai is never finished. Just as with a castle, you never truly own a bonsai; you merely take care of it for the next generation. While every bonsai is unique and the artist is not constrained by anything but his skills and imagination, classification systems have emerged that can help artists create bonsai that mimic the form of natural trees. Because you determine the size of the tree with the size of the pot, when choosing to create bonsai, deciding on how big you want your bonsai to be is another choice you’ll have to make. There’s no right or wrong answer here; you’re free to work on trees that are whatever size you like. Firstly, consider what size of tree appeals to you. This will be different for everyone. Secondly, consider that there are pros and cons to each size. Smaller bonsai tend to be cheaper, take up less space (obviously) and are easier to move and transport, so which size bonsai is right for you is purely up to your personal preference. In Japan, there are classes of bonsai according to size. This is done in part to make exhibitions an apples to apples contest, but also so that the scale of a bonsai is understood when looking at photos. Without a reference point it can be hard to gauge how large a particular tree is. Despite what a lot of people think, you can’t always grow your bonsai inside. It might be tempting to keep your trees inside so that you can see them while you go about your day, but the reality is a little more complicated. While some species can be grown indoors, most cannot. Most trees require a period of dormancy to survive and thrive. In deciduous trees, this period is triggered by cold, so if your tree is inside and soaking up your heating then it will never enter this period and it’s lifespan will be limited. Getting the right amount of light is also a problem with indoor bonsai. And if you’re someone that uses air-conditioning, that can also be a problem since aircon reduces humidity and healthy bonsai require some humidity. What’s Required to get into Bonsai? Before starting with bonsai it’s important to know what you’re getting yourself into. Just like you wouldn’t take ownership of a pet without first understanding the size of the commitment. One thing that beginners want to know is how long it will take before you have a beautiful bonsai of your own. When reading about bonsai it’s easy to come across references to trees that are a hundred years old. Does it really take that long to create a beautiful tree? To go from a basic tree to a bonsai can take a few months if you’re careful and know what you’re doing. Half the battle is shaping your tree, which is governed by the type of tree and the season. That said, a tree is never “finished”; it’s a living organism and therefore always a work in progress. Secondly, beginners also want to know about how much time is required to style and maintain their bonsai. It’s a bit like taking care of a pet. 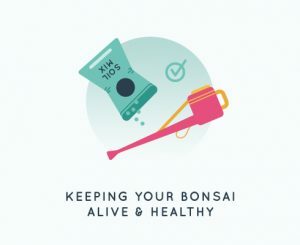 It doesn’t necessarily take a lot of time each day (bonsai don’t need to be taken for a walk), but you will need to put in a little bit of time each day, and a few times a year put in significantly more time. Regular watering and fertilising doesn’t take long, but if you fail to water your bonsai then they won’t live very long. To take care and style your bonsai you will need some basic equipment. In addition to the above, you’ll likely need a few specialised bits and pieces such as a watering can, chopsticks for bare rooting and so on. Another great article on bonsai tools is by Bonsai Empire. As with any endeavour, it’s helpful to know how much a foray into bonsai will set you back. And as with any endeavour, the true number is hard to pin down. You can acquire your first bonsai for free, you can spend a little, or you can spend $750,000. The same applies to equipment. You can buy a cheap ten piece set for $50, or spend $300 on a single tool. How much to spend depends on your level of interest and your financial situation, but it’s fair to say that even on a limited budget you can really enjoy the art of bonsai. One of the factors that will limit what trees you can grow is your climate. Trees grow best in climates they are indigenous to. People living in temperate climates generally have a wide range of trees to choose from, while those from the tropics or bitterly cold climates may have to choose their trees with more care. Before you get hold of your first bonsai, check to see that the bonsai you want can survive in the climate you live in. Chances are when you think of bonsai there are a few species that pop into your head. While you can turn any species of tree into bonsai, some have proven to be more popular than others. If you have not been scared off by the information so far, then figuring out where to get your first bonsai is a logical next step. And as with everything else bonsai, it’s not as straightforward as you might believe. Many beginners start with a “mallsai”, which is a cheap bonsai widely available in malls. These are typically not the highest quality trees and while they might be fun, if you’re serious about bonsai then there are other methods to use to acquire your first bonsai. We’re going to look at the main five ways. One method is to grow your own bonsai from a seed. There’s something special about working on a tree that you grew from nothing, but if you’re in a hurry to get started, then this isn’t the method for you since it can take around two years before the tree is strong enough to be styled. Another method is to use cuttings. This involves taking branches from a healthy tree and then planting it in soil to grow as a new tree. One major advantage to this method is that the new tree will retain characteristics of its parent tree; so if the original was a really great tree to work with, so will the new one. However, this method can still take quite a long time and if you are bonsai-less then finding a tree to get a cutting from can be difficult. A fourth method is to find a tree in the wild that has been constrained by nature. Fans of the karate kid will remember Mr. Miyagi climbing down a cliff face to find a tree and bonsai found this way are called yamadori. Finding yamadori is somewhat of a sport in and of itself in Japan. However, this is not something for the uninitiated to attempt. Not only do you need to be able to identify which trees are suitable, but you also need to know how to safely take the tree home. Not to mention that these days there are restrictions in most countries as to what you can legally take from forests. Start with a bonsai that has already grown. 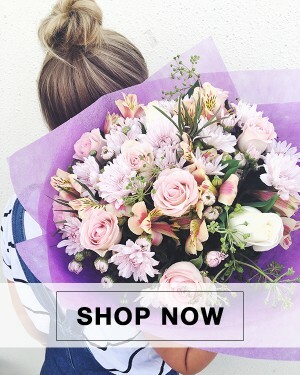 This is probably the best place to start since the learning curve is much shallower and it will take you less time to grow something beautiful. 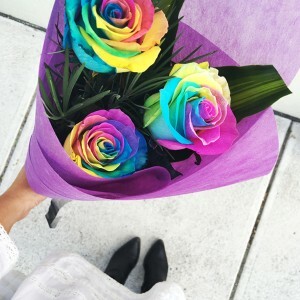 This method is not without some difficulty, however. At this stage you should understand the basics of bonsai and be able to buy your first tree. Now we can move onto chapter two, where you’ll learn to keep that first tree alive! Once you understand the basics and have the know how to get your hands on your first quality tree, you need to learn how to keep that tree alive and healthy. You can have all the styling skills in the world, but if you keep killing trees then those skills will go to waste. Many people kill trees when they start out, but if you follow the tips in this chapter then you won’t be one of them! Keeping your trees well watered is one of the fundamentals of bonsai maintenance. Humans can’t go long without water and trees aren’t much different. If you’re to become a bonsai artist then you’ll be spending a little bit of time watering your collection. And while most people understand that trees can die from lack of water, most are unaware that overwatering can also be fatal to your bonsai. It shouldn’t happen if you’re using good soil, but if too much water gets trapped inside the pot then the roots can rot away. How often you need to water, how much water to use and what sort of watering can (your regular garden can won’t do) are all things you need to consider. Not to mention that the watering schedule will also differ depending on the species of tree you use. The specifics are a little beyond the scope of this course, but we’ve found a good guide for you to read. Using the right soil from the get go is also important. Bonsai soil tends to be classified according to texture and type. The size of the pot determines the texture needed, but the types of soil is determined by the species of the tree and whether the tree is being trained or not. Gaining a full understanding of bonsai soil can get tricky quickly; you need to understand the role of soil, drainage factors, as well as what components to use (there are many to choose from). Here’s a great guide on Choosing Soil for Bonsai, from Kaizen Bonsai. And here’s another link to research done by a member from the Finger Lakes Bonsai Society that’s really worth a read. Learning to repot your bonsai is another important skill that you’ll need to master if you’re to become a bonsai artist. Trees in nature have root systems that grow outward seeking nutrients. It’s what trees are programmed to do. Your bonsai doesn’t know it’s in a pot so its roots will still grow outward in the futile attempt to find nutrients. At first this isn’t a problem, but eventually the root network becomes so dense and thick that the tree struggles to get the nutrients it needs. Before this happens you need to take your bonsai out of its pot, trim the root system back and then repot it. Even the best quality soil doesn’t last forever. After a certain amount of time, soil breaks down and is no longer able to do its job. Time scales vary, but five years is about how long most soil will last. When this happens, you need to replace the old soil with fresh soil; this process is called bare rooting. You’ll need to take the bonsai out of its pot and then carefully remove the soil from the roots. Bamboo chopsticks are a popular tool for this particular job. Trees need nutrients to grow and survive just like people, but bonsai face a challenge when getting all their nutrients. Trees growing in the wild can seek out nutrients from wide areas. This is why their root systems stretch out far and wide. However, bonsai are constrained by their pot, so they rely on the surrounding soil for their nutrients. This soil quickly loses its nutrients and therefore in order to keep your bonsai alive you need to supply it with regular fertiliser. There are a few guidelines to follow when selecting your fertiliser; the balance of nitrogen, phosphorus and potassium should generally be kept equal. You must also be careful not to overfeed, since this this can damage the roots. Humans aren’t the only creatures to enjoy bonsai. Unfortunately, several species of pests can infest your bonsai and cause it serious harm. Make it part of your weekly ritual to closely inspect your bonsai for any signs of pests. Ants, aphids and boring insects can all wreak havoc on your trees, so learn to look out for them. Caterpillars and earthworms are also not great to have around. Bonsai Plant Pests to Watch for! In order for your bonsai to be as strong and healthy as possible, it needs to take in all the nutrients it needs. This can’t happen if weeds invade your pot and start taking nutrients for themselves, so weeding must be another activity that is part of your regular workflow. Now you’re a certified green thumb and can keep your bonsai alive, you can start to learn the fun stuff. In this chapter you’ll learn the basics of styling your bonsai; taking a regular tree and transforming it into something breathtaking. Styling your bonsai is the essential part of the art form. It’s what people think of when they think of bonsai and involves literally bending the tree to your will. It’s not something you do once and then forget about; styling continues for the life of the tree. Before you do anything drastic, study the tree in its natural form. Develop a good understanding of what you’re aiming to achieve before you start the work. Look at other bonsai for inspiration and ideas of what you could aim at. 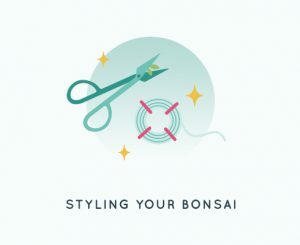 Hundreds of books have been written about styling bonsai and we aren’t aiming to teach you everything here; just the basics. Styling typically begins with the trunk. Once the trunk is looking good, wire the branches into the shape you want. Finally, prune the tree to make it look just right. Obviously doing this is easier said than done, so we’ll be including plenty of links at the bottom of this guide to teach you the specifics of how to style your tree. Next up we’ll take a quick look at what wiring is and how it works. You use metal wire to bend the tree in the shape you want. When you bend a tree and keep it there with wire, small splits will appear in the inner layers of the tree. As those splits heal the tree will remember its new position. How long this process takes depends on how quickly the tree grows. This means that different species will take different amounts of time to be trained. And which season is best for your tree also differs from species to species. Typical time frames are from 2-3 weeks to several months depending on the above variables. Once your bonsai has taken shape, removing the wire correctly is important so you don’t damage the tree. While some experienced artists do unwind it by hand, many more simply cut it off at the bends. Once the trunk has been shaped and your branches are where you want them to be, it’s time to prune the tree. Again, this is a complicated subject and not something we’re experts on. So to learn more about pruning your bonsai, you’ll want to get your hands on some quality training materials. Bonsai isn’t bonsai without a pot, so choosing the right pot for your bonsai is an important decision. It’s important not only for functional reasons, but the aesthetics of your pot also matters. The right pot should display your bonsai to the greatest advantage; the same way a frame does on a painting. Typically round pots are best for slanting bonsai, while upright bonsai look best in oval or rectangular pots. We recently published an article featuring some of the most influential bonsai artists from outside Japan. My advice is do not have too many trees. Only have the number of trees that you can comfortably look after. In the initial stages one collects, grows and buys everything to feed your passion and you end up with a garden full of mediocre trees at best that all need care. Don’t have too few trees. Get enough so you can keep occupied, and learning, and most importantly not be nags to our trees. They need a break, they need to grow. And don’t specialize too early. Explore. My most important advice would be to find a good teacher to start your study with. Although there are a few professionals who self taught, it is much more advantageous to learn from someone who is proficient at it. By now you should have enough information to whet your whistle, but it is not nearly enough to turn you into a bonsai expert. Bonsai used to be really difficult to learn because of the lack of resources in English, but since the internet that hasn’t been a problem. The problem has been figuring out which resources to trust. We’ve done the research so you don’t have to. 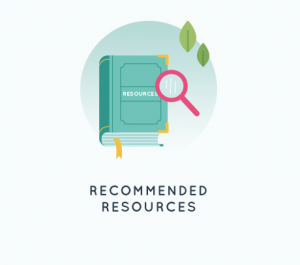 Below you’ll find links to resources that we’ve found useful or have been recommended to us from bonsai experts. There’s no shortage of good bonsai websites these days, but below you’ll find links to a handful of our favourites. Since bonsai is a visual art, one of the best ways to learn is through video. Below you’ll find a handful of the best bonsai YouTube channels. There are of course many more but these five will be a good starting point. Getting hands on experience is one of the best ways to learn and joining a local club is probably the best way to meet people in your local area who can teach you a thing or two. Bonsai beginners are full of questions and we know that the above content can’t have answered them all. 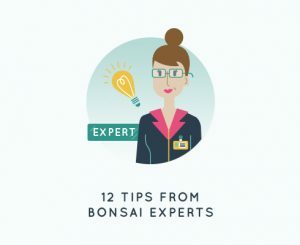 We’ve done our research and figured out the most frequently asked questions that bonsai beginners have. Question: Which bonsai trees are safe for cats? Answer: We actually created a post on this very subject not too long ago. Question: Which bonsai tree grows the fastest? Answer: If you’re in a hurry, then varieties of Ficus trees could be for you. Question: Which bonsai trees flower? Answer: Bonsai Empire have provided an article with ten trees that flower. Question: Which bonsai tree is right for me? Answer: That’s not an easy question to answer and depends on a number of factors. Read through the first couple of chapters to get a better idea. Question: Will bonsai grow in the office? Answer: Again it depends. Some species will be fine indoors, but most won’t. Question: How big will bonsai trees get? Answer: As big as you let them! Bonsai are constrained by the size of the pot, so you can grow a bonsai as large or small as you like. Answer: This video should provide you with what you need. Answer: Trees grow when their root systems can grow larger and absorb more nutrients. By constraining the size of the root system with a pot, you restrict how large the bonsai grows. Question: What bonsai tree was in the Karate Kid? Answer: It was a Juniper tree, one of the more popular varieties of bonsai to grow. Question: What does bonsai mean? Answer: Bonsai is made up of two Japanese characters meaning “tray planting”. Answer: One way to tell if your tree is dead is to water it. If it doesn’t revive at all, there’s a good chance it’s dead. If you want to be more certain, you can peel a little of the bark off and check the condition of the wood inside; if there’s no sap or green anywhere in sight it’s safe to say that your bonsai is dead. Question: Why bonsai leaves are turning yellow? Answer: There are several reasons why your leaves are turning yellow. It could be due to underwatering, stress or even exposure to cold. Question: Why bonsai trees are so expensive? Answer: When you look at a beautiful bonsai tree, you’re seeing the results of years (possible decades) of work and effort. There’s also artistic value in the bonsai since creating something amazing is quite rare. Question: Why are bonsai pots shallow? Answer: Bonsai stay small because of the pots. Trees grow by sending root systems out to collect nutrients. By using a shallow pot the root system is artificially constrained, so shallow pots are essential to bonsai. Question: Are bonsai trees hard to grow? Answer: Growing and styling bonsai is certainly not a skill you can pick up in an afternoon (or by reading a single guide on the internet!). While you may never become a bonsai master, just about anyone can learn enough to enjoy the hobby. Question: Are bonsai trees poisonous? Answer: Bonsai is simply taking normal trees and confining them to small pots to ensure that they stay small. There’s nothing about this process that causes trees to become toxic. However, there’s nothing stopping you from taking a poisonous tree and turning it into bonsai, if you really want to do so. Answer: If you kept a person in a confined space and used wires to deform their limbs for artistic purposes then you would definitely be accused of cruelty. However, trees are not people, they are not sentient and do not feel pain, so creating bonsai is not cruel. Question: Are bonsai trees alive? Answer: Yes they very much are. The only difference between a bonsai and a regular tree is the size. Bonsai are constrained by the size of their pot, but they are very much alive. If a tree is not alive then it cannot be styled, so bonsai artists must first learn to keep a tree alive and healthy. Question: Are bonsai trees poisonous to dogs? Answer: There’s nothing about bonsai trees that make them inherently poisonous to dogs or any other animal. Bonsai is simply the art of styling artificially small trees. A large tree that is toxic to dogs will remain toxic to dogs in bonsai form. Question: Difference between bonsai and penjing? Answer: What we know as bonsai originated in China, but was developed in Japan. As the two art forms evolved separately, differences began to arise. The main difference is that bonsai tends to be focused on the tree, whereas penjing involves the greater landscape as well. That’s all we’ve got for you. Our aim was to take you as a complete beginner and show you the ropes. You won’t be a bonsai master just yet, but hopefully you have a better idea of the path to take and whether or not it’s a path that’s right for you. If this all seems like a bit much work, but you’d still like to enjoy bonsai, we might have an option or two for you. We also hope that this post evolves over time as newbies and pros alike make suggestions. 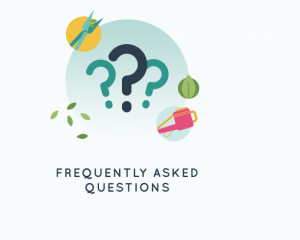 So if you’re new to bonsai and there are still questions you want answered, post them in the comments section and we’ll see if we can add them to the main body of content. Likewise if you’re a pro and you think we made an error or missed something crucial that beginners should know, leave a comment and we’ll make amendments accordingly.